Just adding to the insanity. 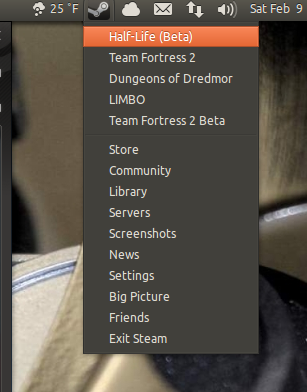 <span class='p-name'>Steam Indicator!</span> by ssweeny.net is licensed under a Creative Commons Attribution 4.0 International License. Previous Previous post: Who’s Ready for Copenhagen? Next Next post: Raring Ringtail Released!